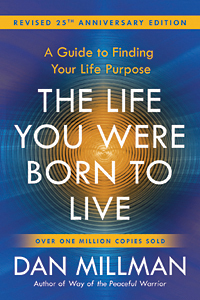 A key element of Dan Millman’s The Life You Were Born to Live — Revised 25th Anniversary Edition, as in the earlier edition, is a major section on the universal spiritual laws that can guide us to live wisely and well. Presented in Part Four of the book, the laws are especially useful in helping us overcome the hurdles on each of the forty-five individual life paths described in the book. We hope you’ll enjoy this excerpt, in which Dan shares some background on these laws of Spirit. We’re all striving to live with a more peaceful heart. Yet there are times when we need to draw upon the courage and strength of a warrior’s spirit. In this timely interview, Way of the Peaceful Warrior author Dan Millman explains how embodying a peaceful heart and a warrior’s spirit at the same time allows us to act with strength, integrity, and compassion, even when confronted with life’s most challenging moments. What do rock stars, Nobel laureates, bestselling novelists, astronauts, and attorneys have in common? A teacher changed their lives. Like them, most of us can name a teacher who gave us not only good instruction but also confidence and drive. But, in the face of teachers being blamed for a variety of social and economic woes, teachers themselves can easily wonder whether they are making a difference in students’ lives. When veteran teacher Bruce Holbert asked himself this question, his wife, Holly, responded by sending letters to hundreds of people she had never met and had no reason to believe would respond, asking about teachers who mattered to them. She was overwhelmed by answers. 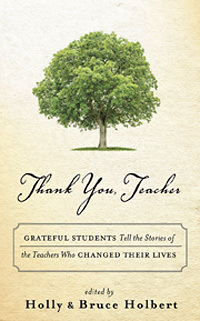 Thank You, Teacher presents more than eighty of these up-close-and-personal stories. We hope you’ll enjoy this essay featured in the book, by New World Library author Dan Millman. We hope you'll enjoy this short video, in which Dan Millman, author of The Four Purposes of Life offers practical advice for making positive changes in your life. We also invite you to subscribe to New World Library's YouTube Channel for immediate access to the latest author interviews, book trailers, and more. Over the years, readers have asked author Dan Millman many compelling questions about some of the mysterious elements in his blockbuster bestseller Way of the Peaceful Warrior, which inspired him to write a follow-up book to address them. The result of that effort was Wisdom of the Peaceful Warrior: A Companion to the Book That Changes Lives, in which he presents 100 key passages from the bestselling classic and offers illuminating commentary. We hope you’ll enjoy this short excerpt about what it takes to create lasting change in our lives.